SEAT is ramping up its electric car plans since showing off the El-Born concept electric vehicle (EV) at the recent Geneva Motor Show. A production version of that concept, as well as an all-electric version of the Mii city car, will be SEAT's first forays into the EV market, while the next-generation of the Cupra Leon and the new Cupra Formentor high-performance SUV will both come with plug-in hybrid power. SEAT will also take the lead in developing the Volkswagen Group's new small car electric platform, derived from the MEB chassis that will underpin models similar in size to the Golf and Leon. The new electric car platform will be for cars of four metres long or shorter (basically the same size as an Ibiza) and with a target price of under €20,000 (not, sadly, inclusive of Irish taxes...). 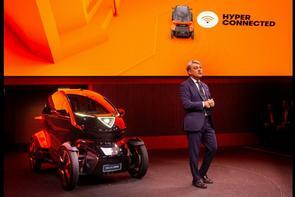 During the presentation of the company's business accounts held at SEAT's corporate headquarters in Martorell in Spain, CEO Luca de Meo stated that "SEAT now has a clearer role in the Volkswagen Group, and thanks to the results obtained, we have earned the new electric vehicle platform. For the first time, the SEAT Technical Centre will be developing a platform that may be used by more brands around the globe." This suggests that, as with the MEB platform, the VW Group may offer its small car EV platform to other car makers to build under licence. Volkswagen CEO Dr. Herbert Diess attended the presentation and emphasised SEAT's role within the Volkswagen Group: "SEAT is a crucial building block for the future of the Volkswagen Group. It is a successful and important player again based on close cooperation and synergies as well as joint technology and product development within the Group." Dr. Diess added that "the small electric platform is a great illustration for this. It enables us to realise the first electric vehicle that is especially designed for urban journeys available for less than €20,000. That is democratising sustainable mobility." SEAT also plans to do more work on what's called 'micromobility' - developing vehicles and solutions for short urban journeys. The Minimo concept car and the electric SEAT eXS kick-scooter are examples of where the Spanish brand's thinking is heading. Aside from its electric future, SEAT is celebrating a very solid 2018. Profits, after tax, rose to €294 million, which was a 4.6 per cent rise on 2017. Operating profit grew to €223 million, a rise of 93 per cent. SEAT also managed to deliver more cars than ever before in its 70-year history, with 517,600 vehicles finding new owners. The new Cupra high-performance brand is doing well too, with 14,400 cars being sold despite there only being one model - the Cupra Ateca.